I was with some drinking with some friends in the Fort last weekend when we saw a Lamborghini Murcielago park in front of the bar where we were drinking. We figured only nice and expensive cars were allowed to park in front because ideally it was a no parking zone. This shows that having a supercar will not only give you power but it can even allow you to break some rules and I found it very unfair. There really is that undeniable respect that comes from having a Lamborghini Murcielago LP560 in the Philippines. I saw the traffic enforcers disallow other cars to park there but when it was the Murcielago they did not do anything at all. I also can’t help but wonder what kind of work or business the owner of the car was into. 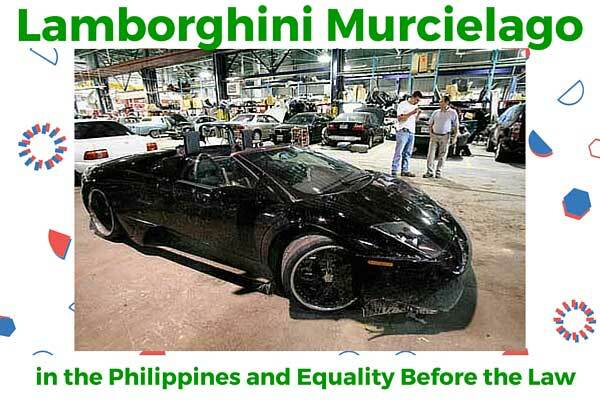 There is that crazy price tag on the Lamborghini Murcielago, and for a country that is considered to be “third world” it can really make you think about those who have an excess amount of wealth.